2)) a reference to "Carnivàle"
Image Gallery update! Episode 6 (Pick a Number) of "Carnivàle" is up, as is a complete collection of screencaps from "In the Bedrooom". I also polished up the Filmography. AVATAR is back on track! Members get all the latest news and site updates! 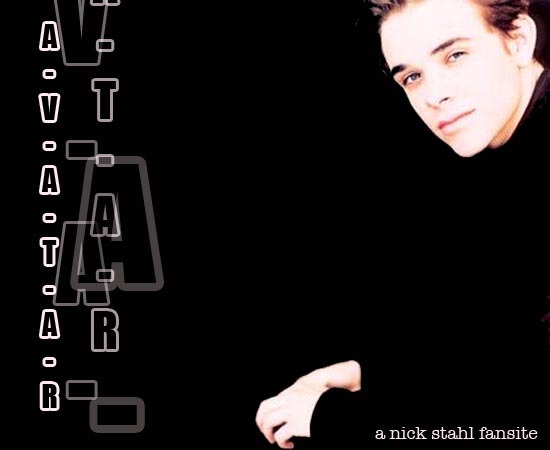 DISCLAIMER: AVATAR and its related Livejournal community are not representatives of Nick Stahl, nor is there any profit being made at Mr. Stahl's expense. This is merely the effort of a lone fangirl trying to share the love with like-minded individuals. Peace out.